I managed to avoid staying up late for the US launch of Dragon Age: Inquisition and couldn’t play it yesterday, but now I think it’s time. LET US SMITE SOME BAD GUYS. 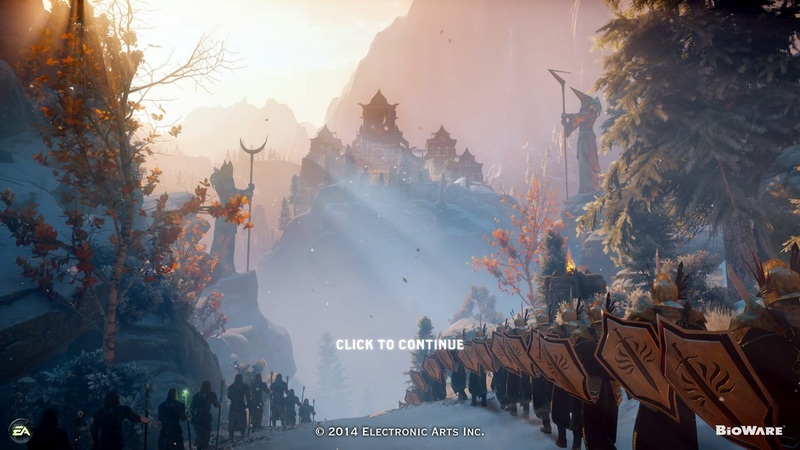 *Note – if you’re like me and never finish a game, you can still go to the Dragon Age Keep and put in what you *have* played, or what you wish had happened, in DA 1 and 2. Thanks to The Blogger Formerly Known as Lum for the pointer. ** It’s been that kind of a day.